Intelligent Tutoring Systems (ITSs) are adaptive learning systems that aim to support learners by providing one-on-one individualized instruction. Typically, instructing learners in ITSs is build on formalized domain knowledge and, thus, the applicability is restricted to well-defined domains where knowledge about the domain being taught can be explicitly modeled. For ill-defined domains, human tutors still by far outperform the performance of ITSs, or the latter are not applicable at all. As part of the DFG priority programme “Autonomous Learning”, the FIT project has been conducted over a period of 3 years pursuing the goal to develop novel ITS methods, that are also applicable for ill-defined problems, based on implicit domain knowledge extracted from educational data sets. Here, machine learning techniques have been used to autonomously infer structures from given learning data (e.g., student solutions) and, based on these structures, to develop strategies for instructing learners. 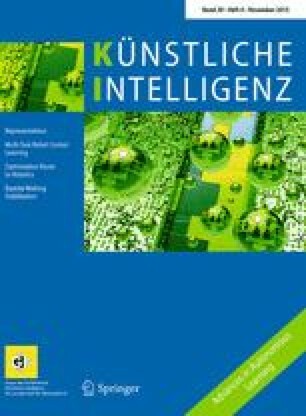 This work was supported by the German Research Foundation (DFG) under the grant “FIT—Learning Feedback in Intelligent Tutoring Systems.” (PI 767/6 and HA 2719/6).